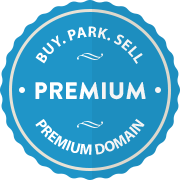 This premium domain is for sale in partnership with Sedo! The short, catchy name and the ending .com make this domain particularly valuable. For more information about this premium domain or to make an offer please contact Dave Evanson at dave.evanson@sedo.com or (857 209-1807). The current price of plains.com is . Sign up and we will provide you with the best offers for plains.com. Thanks! Make sure to to confirm your subscription to receive our best domain offers for plains.com via email.